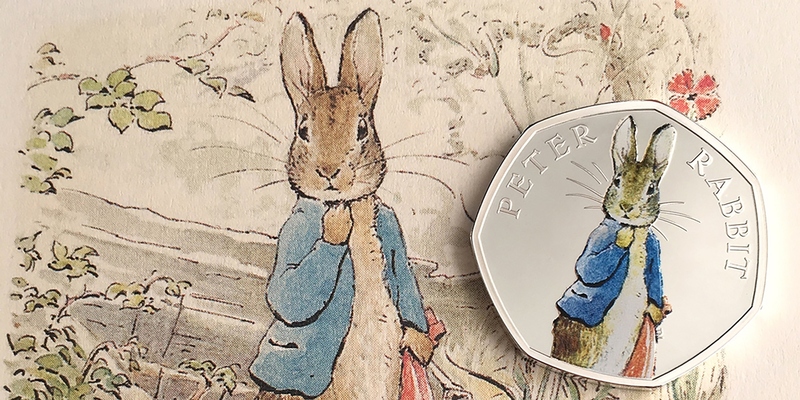 The Royal Mint has announced that Beatrix Potter's well-loved creation Peter Rabbit will feature on UK coins in 2019, with the release of a new commemorative 50p coin. 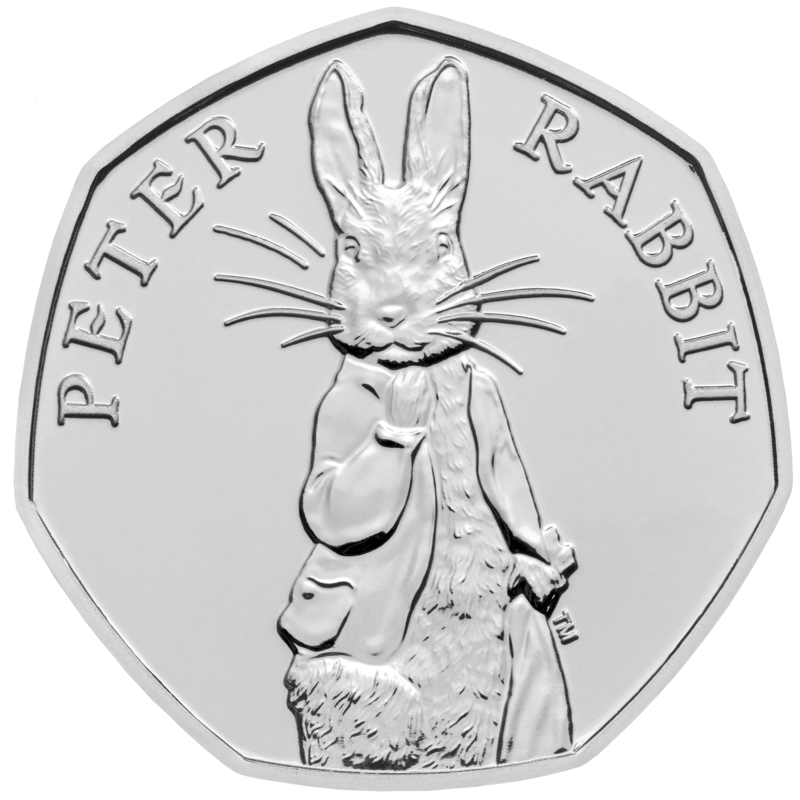 Peter Rabbit first appeared on UK coins in 2016, with further appearances in 2017 and 2018. This time, the special 50p will not enter general circulation and will be available only through The Royal Mint. The new design for 2019 will feature on Brilliant Uncirculated, Silver Proof and Gold Proof 50p commemorative coins, with an engraving by Royal Mint coin designer Emma Noble showing Peter wearing his blue jacket and holding the familiar red handkerchief. The Tale of Peter Rabbit is one of the world’s best-loved children’s books and was created by author and illustrator Beatrix Potter in 1902. The story has never been out of print since it was first published by Frederick Warne & Co. (nowadays an imprint of Penguin Random House) and has sold more than 45 million copies globally. 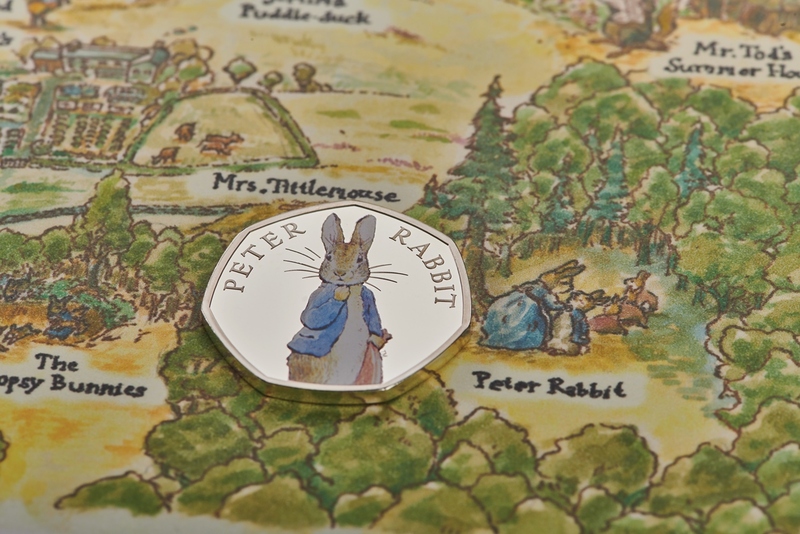 The 2019 Peter Rabbit commemorative coin is available in a variety of precious metal and base proof finishes from The Royal Mint, with prices starting from £10. This is a commemorative coin and will not be entering general circulation.